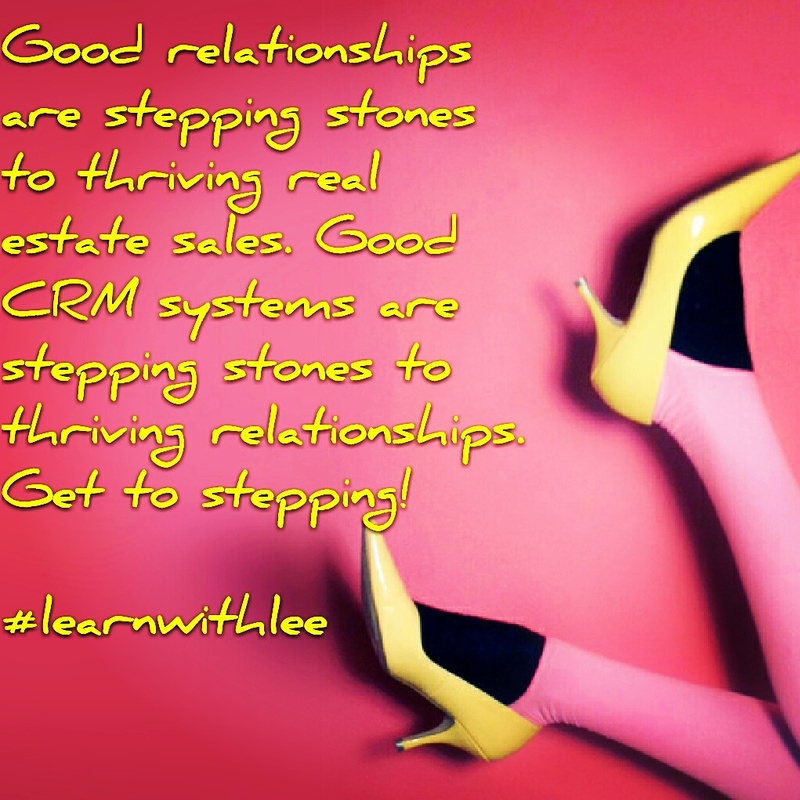 We all want an easy to use, affordable system to stay in touch with contacts, who may want to buy and sell real estate down the road. 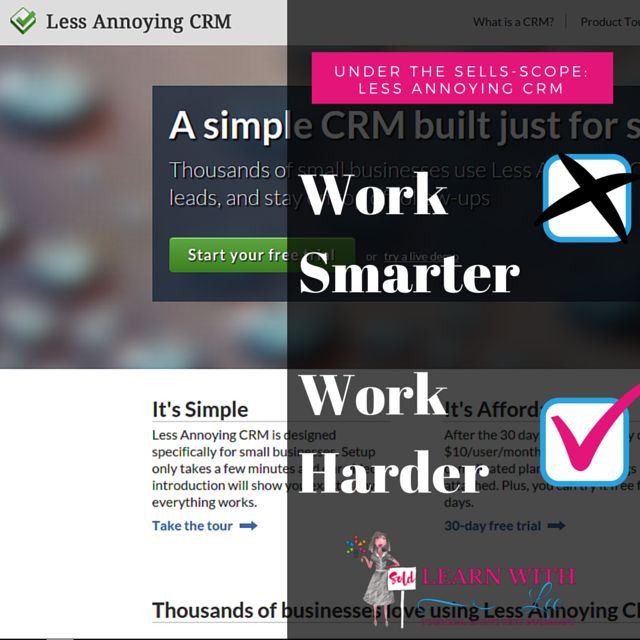 Well, when I heard of Less Annoying CRM I was excited to try it out because its name conveys the answer to the CRM problem - make it less annoying! Genius name but does the product deliver? + Pipelines are customizable to your specific workflow and team. + Website is accessible on all internet-accessible devices (your smartphone, iPad, laptop, etc.). + Free phone and email support even if you are not a paying customer! + Lacks developed sales pipeline templates and real estate-related templates or the ability to import real estate related templates from other users (think how Prezi allows sharing and editing - this would be a nice solution). + Limited Google integration: Recurring calendar events cannot be made in Less Annoying CRM, emails must be copied or forwarded to the unique email address associated with your Less Annoying CRM account instead of automatic integration, and tasks do not sync. + Limited Mailchimp integration: No fields except email address and contact name will sync. Tragically, any contacts in Less Annoying CRM will be deleted if they do not have an email address once synced with Mailchimp. Very annoying! No bueno for real estate agents as we may collect phone numbers and social media information as opposed to emails. It would truly be easier to just periodically download/export the contacts in the CRM to then upload them later to Mailchimp and other services. + No integration with other email services or social media management apps (i.e. Buffer, BombBomb, Hootsuite, and the like are forgotten with this CRM). + This system is not available offline (forget driving to the boondocks and needing to access this CRM). All-in-all, the Less Annoying CRM system requires a lot of back and forth between this software and other apps. It this were a free service then I would say it is a decent introductory CRM for the novice real estate agent that is watching her dollars. However, for $10 a month, I urge you to find something else until they can make tweaks to address the issues I mentioned above. I would rather you NOT pay money for a system that admittedly will delete your email-less contacts when synced with Mailchimp (shut the front door!). If you are a Google/Gmail aficionado, then check out the past review on the Streak CRM because you can use their basic account for FREE to compensate for the cons related to Less Annoying CRM's attempt at Google integration. More CRM reviews to come so if you have a CRM (or any other app) you want Under the Sells-scope, let us know (click here to email us) and we will feature it. Keep up with what is featured by following me on Facebook, Instagram,YouTube, and Google+ or by visiting LearnWithLee.Realtor. 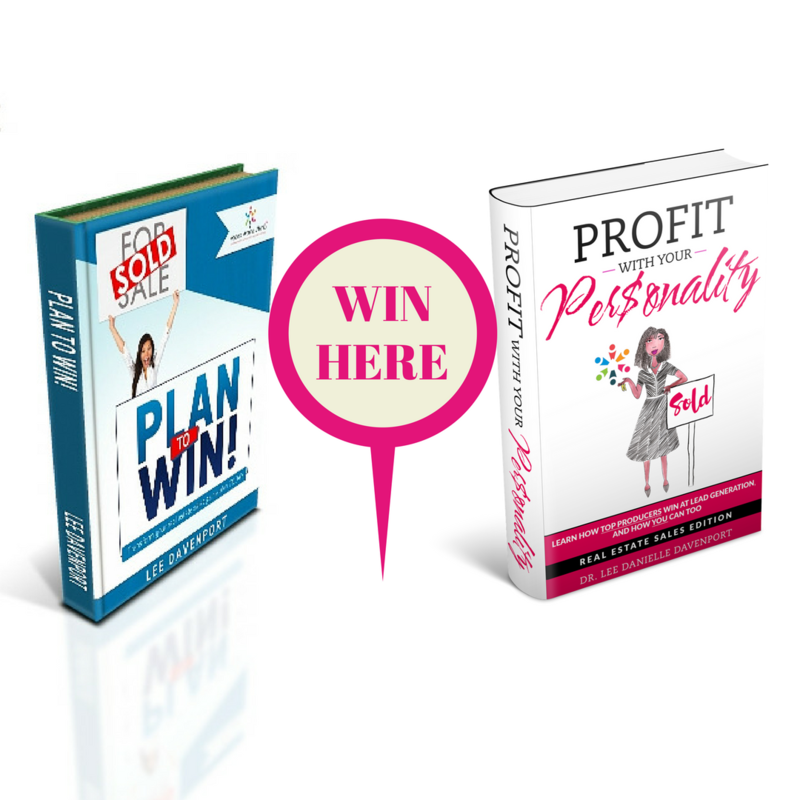 Also, be sure to get a copy of the 5-star rated workbook Plan to Win to transform your real estate sales game plan. Here's to your success!